There’s no brand better at designing awesome prototype concept cars than Chrysler, and this time around, they’ve got off-road enthusiasts licking their computer screens with the release of their latest Ram Rebel TRX concept truck. 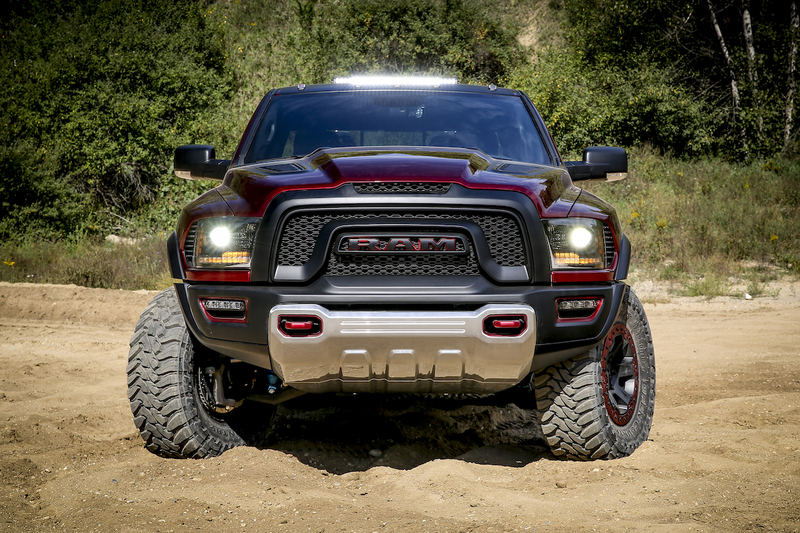 While Ram is no stranger to producing capable off-road and baja-inspired trucks, this is the first to feature a supercharged 6.2-liter HEMI pumping out 575 horsepower, making it (were it to be mass produced) the most powerful factory-engineered half-ton pickup ever. 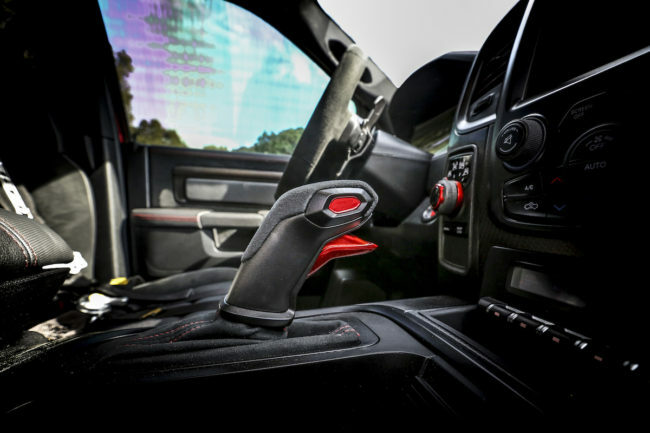 Backed by the venerable TorqueFlite eight-speed automatic transmission, the TRX sports a 4×4 Performance Control System and paddle-shifters for better driver input. Below, the TRX rides on a fully-reworked suspension with heavy-duty axles, and can handle most everything thrown in its path thanks to wheel travel in excess of 13-inches of at all four corners (an increase of more than 40-percent), made possible by front and rear bypass performance shocks. The TRX is also 6-inches wider than a standard Ram 1500, with huge fender wells to clear the giant 37-inch tires. 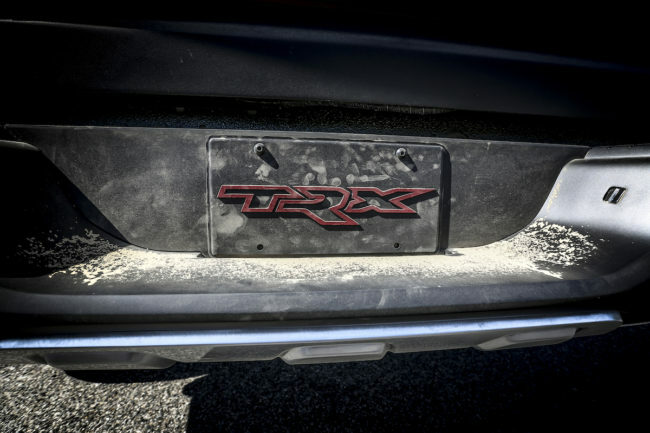 To give the TRX its own look, Dodge equipped it with a unique grille and steel bumpers (that share some design DNA with the Power Wagon and Rebel), as well as offer additional air flow to cool the 6.2-liter supercharged HEMI (but don’t call it a Hellcat, whatever you do!). 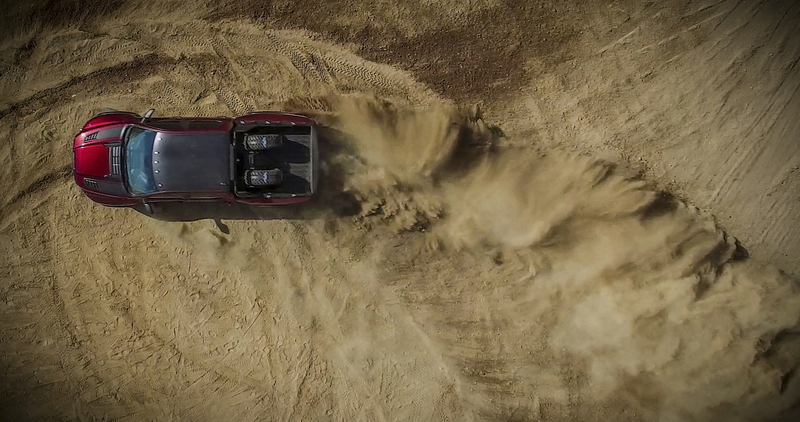 September 29, 2016 , Auburn Hills, Mich. – Ram, America’s off-road truck leader, today introduced the Ram Rebel TRX concept. 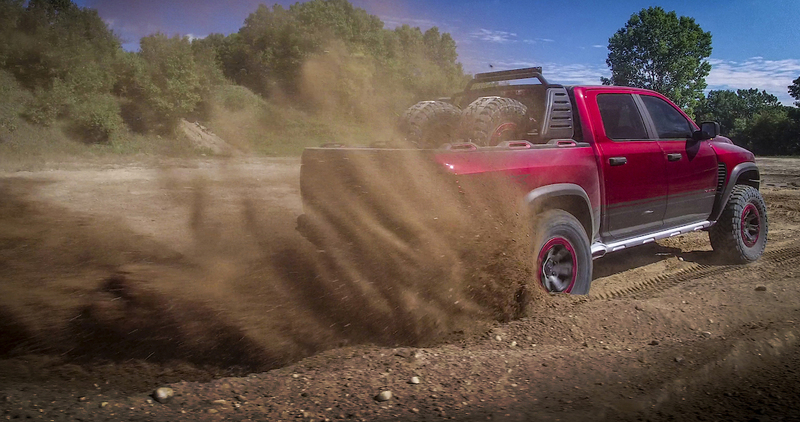 Rebel TRX is a 100-mph off-road machine with 575 horsepower – the most powerful half-ton truck the company has ever built. 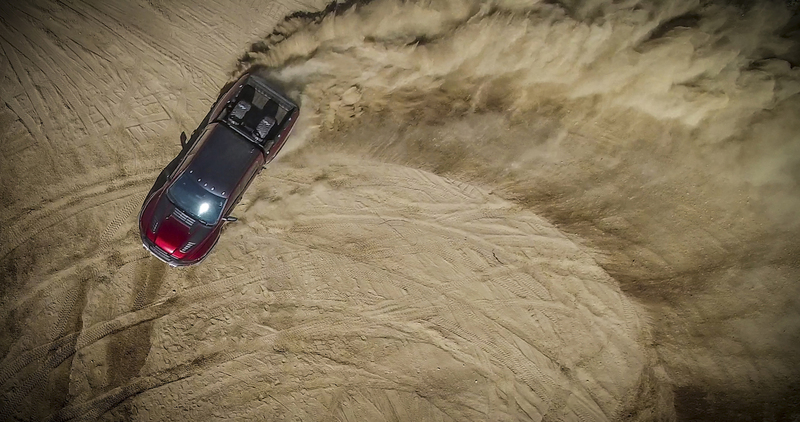 Ripping over pavement at speeds greater than 100 mph is an experience, but the Ram Rebel TRX concept hits triple digits in an off-road environment with the help of a supercharged 6.2-liter HEMI® V-8. The rapidly beating heart of the Ram Rebel TRX concept is a powertrain marvel. 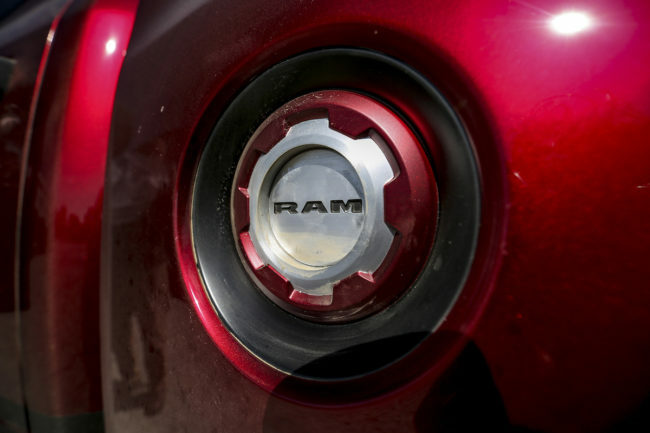 A 6.2-liter supercharged HEMI with 575 horsepower, the most powerful Ram 1500 the company has ever built, lays the groundwork of expectation. Mated to the TorqueFlite 8HP70 eight-speed automatic transmission, new calibrations were used for the engine, transmission and drivetrain to optimize the expected high-speed off-road driving cycle. 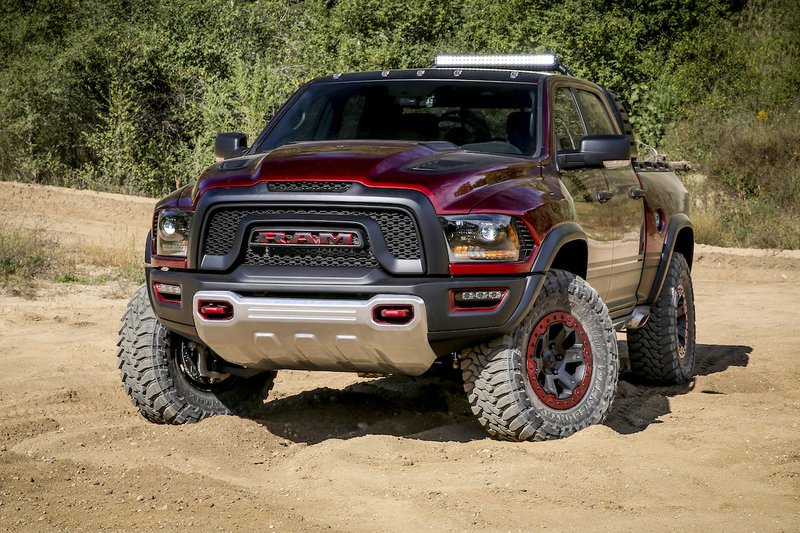 The Ram Rebel TRX concept uses Ram’s 4×4 Performance Control System with a BorgWarner 44-45 transfer case. 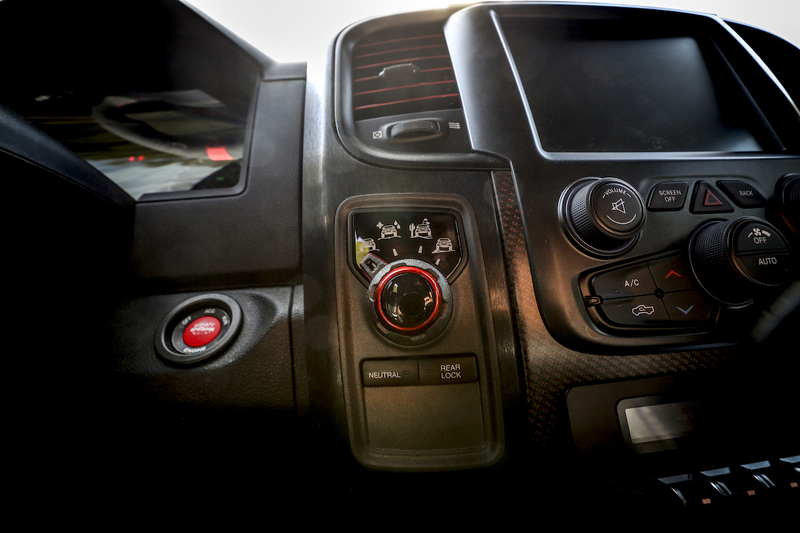 The system employs different modes of operation: Normal, Wet/Snow, Off-road and Baja. 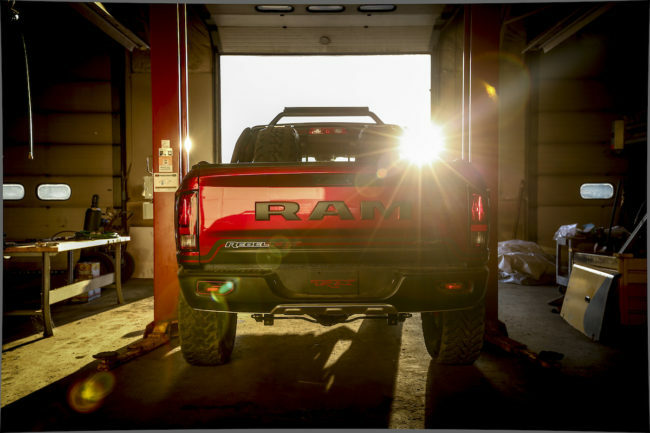 The Ram Rebel TRX concept uses a standard Ram 1500 front axle with an open differential and custom CV half-shafts to handle the wider track dimension. The spindles are moved forward to make room within the fender wells for the aggressive 37-inch tires. In the rear, a Dynatrac Pro 60 axle spools power through an electric, selectable locker to 35-spline, 1.5-inch axle shafts. 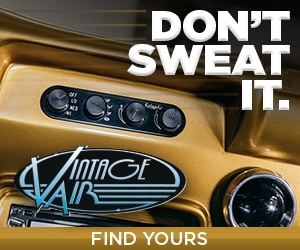 The locker is available in all modes and commits both rear wheels to traction at the same speed, spreads the torque load and maximizes the tractive effort (power put to the ground) in full-throttle maneuvers. 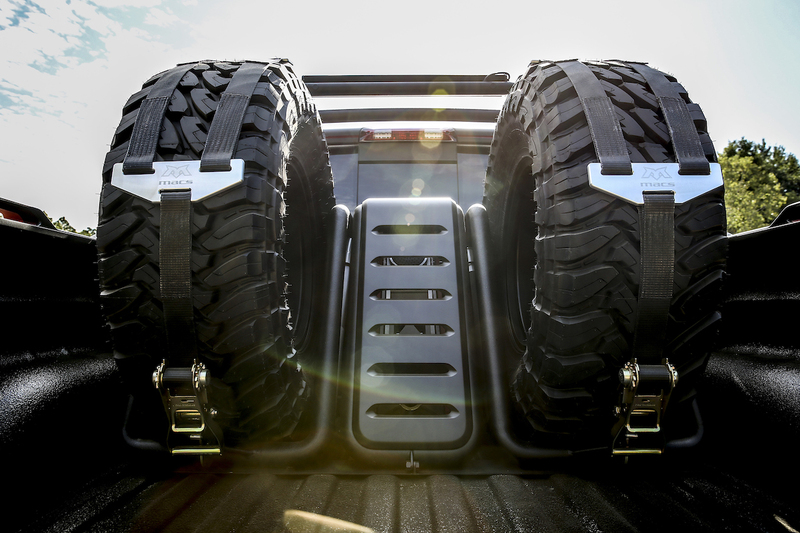 A 40 percent increase in suspension travel and 37-inch tires contribute to incredible ground clearance. This combination allows the TRX concept to overcome surface obstacles at high speed. The front suspension incorporates custom-built upper and lower A-arms with special attention to caster and camber angles during suspension cycling. Overall, front- and rear-wheel travel is increased to more than 13 inches from the standard 9 inches. 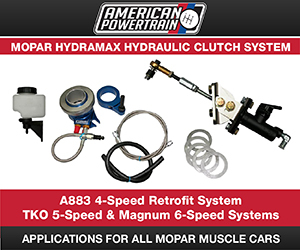 The front load is managed by a state-of-the-art, adjustable, performance coil-over shock with internal bypass. 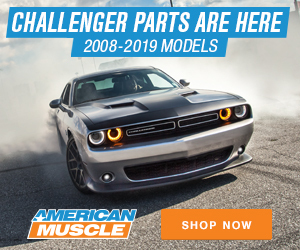 The result is a smooth ride over smaller bumps, and when the bumps become mounds, the reaction speed and heat dissipation is unbeatable, softening the impact on occupants and maintaining the tire-to-ground contact. 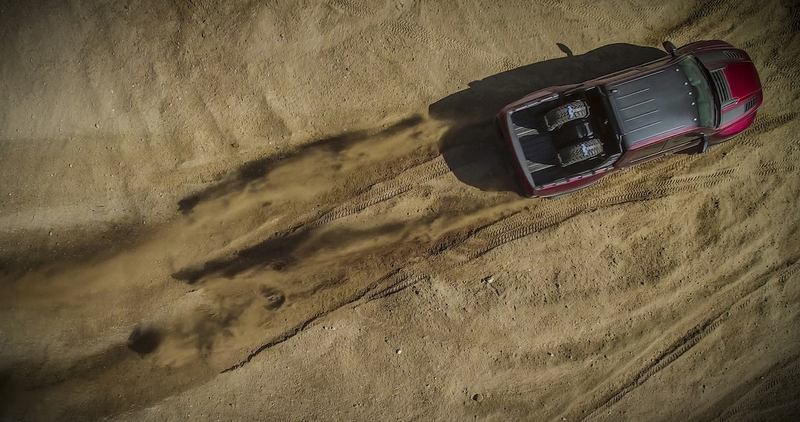 The Ram 1500 uses an exclusive, best-in-class link coil rear suspension system that shares basic architecture with the fastest off-road trucks in desert racing. 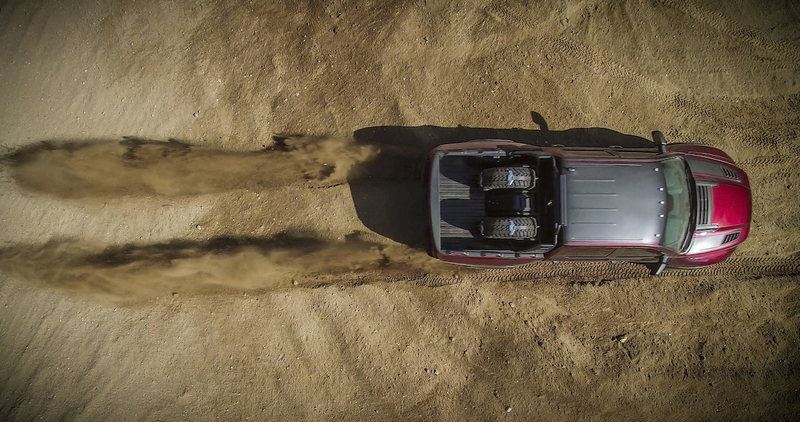 The frame’s hard points for the five-link suspension system are unchanged and allow the rear axle travel to span up to 13 inches, while standard rear-wheel travel on the Ram 1500 is 9.25 inches. New 2.5-inch bypass shocks use factory upper and lower shock mounts. The standard rear coils are swapped for performance springs located in the factory-spec positions. 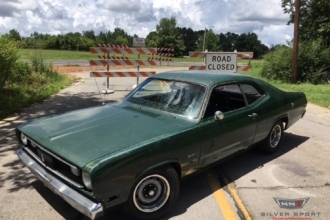 To provide incredible stopping power, the factory hydraulic-boost compensation unit enhances brake pedal feel and performance during emergency stop events. Baer brakes six-piston monoblock calipers mounted to 15-inch rotors equip the front. The rear uses six-piston calipers with 14-inch rotors. High-speed off-road truck racing teams commonly use a 37-inch tire for its height and durability. 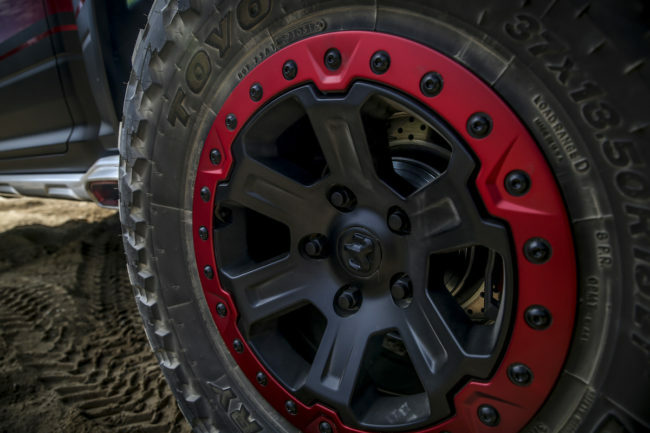 Tires with 37 inches of height, 13.5 inches of width, aggressive treads and 10-ply design are assigned the task for Rebel TRX. The Rebel TRX concept also features custom beadlock wheels from Mopar. Beadlock wheels provide additional tire-holding strength by pinching the outside of the tire to the rim. 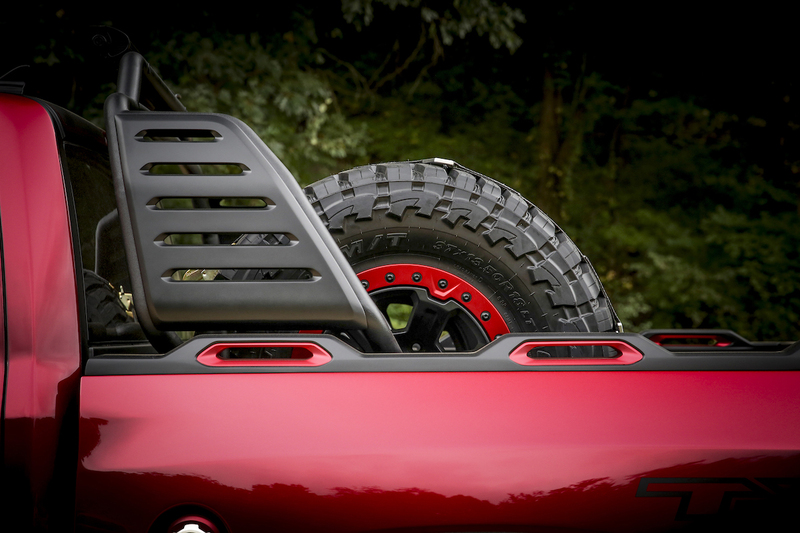 The Rebel TRX carries two complete spare tire and wheel packages. Tools and jack are located in custom, lockable storage between the wheels in the bed. 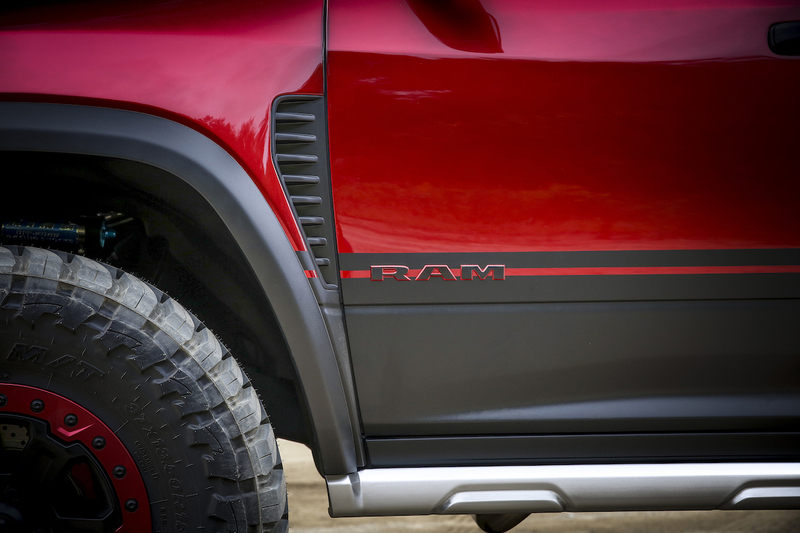 Although it is clear that the line and color combinations are borrowed from the popular Rebel and Power Wagon models, the Ram Rebel TRX has a much more chiseled look. 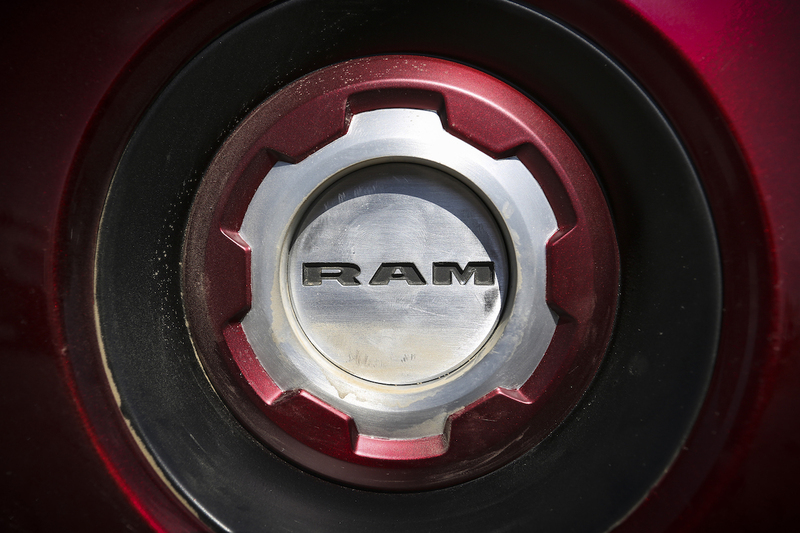 Three letters burst clear of a Power Wagon-inspired grille spelling “RAM” in body-matching black and red. Out of necessity, the bold, scooped grille allows a fire-breathing supercharged engine to cool with additional air flow. 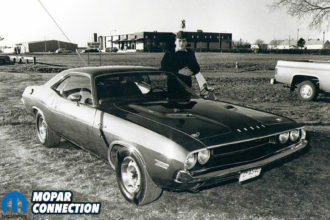 Composite flares help compensate for a six-inch increase in track width and gave designers another location to mark their signature. 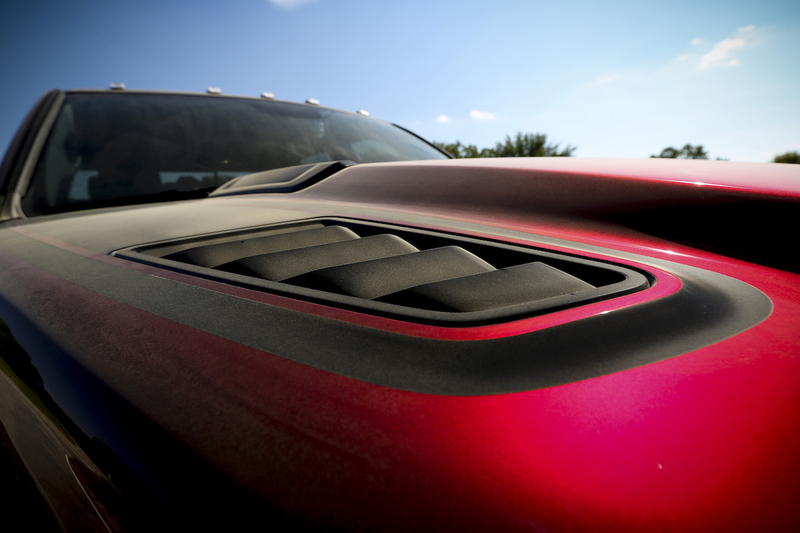 A lower brush guard is forged in steel and up to the “rock knock” test. 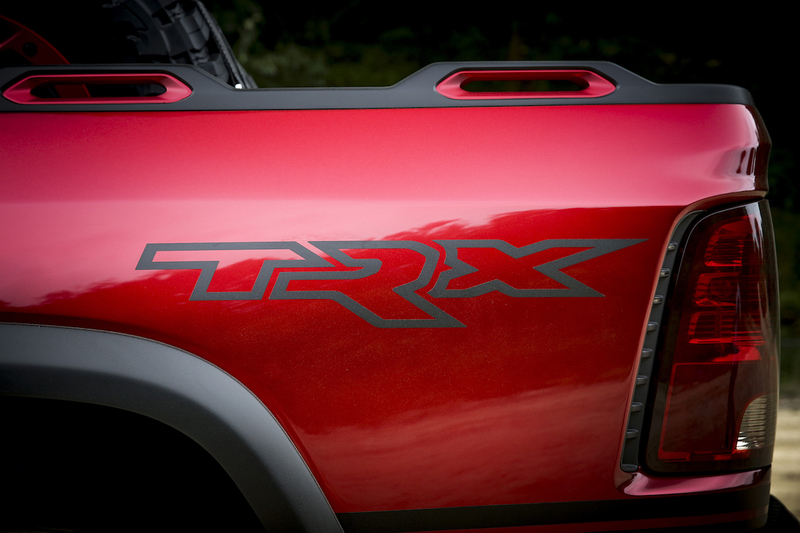 The side of the Rebel TRX leads your eye to enormous five-inch, side-exit exhaust ports integrated within a full-length rock rail for added body/sill protection. Closing out the rear of the truck, a large “Ram” badge in Matte Black is borrowed from the Rebel and covers the tailgate. 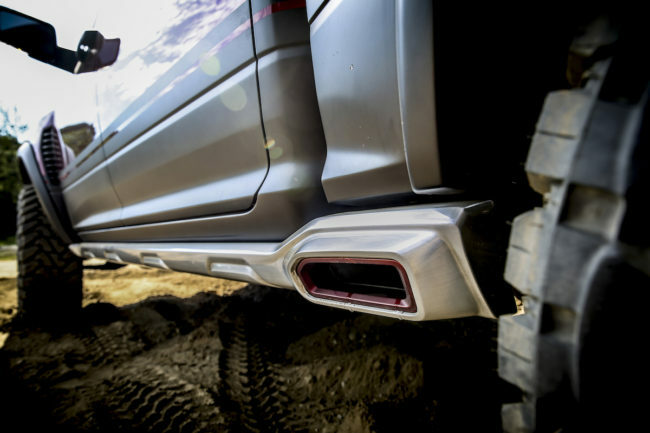 A custom rear steel bumper with integrated skid plate and tow hooks matches capability features on the front of the truck. 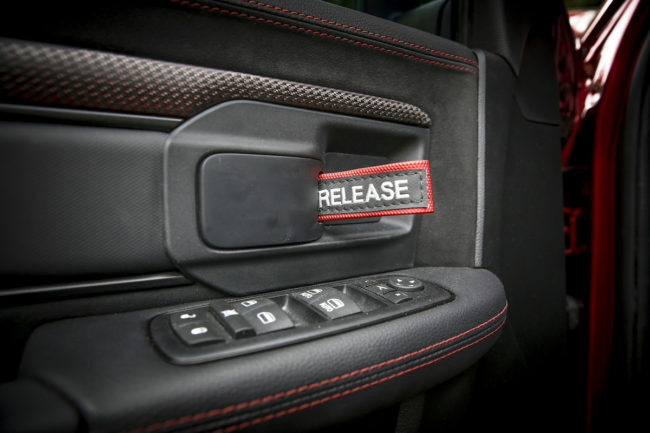 A sport bar covered in black anodized paint provides anchor points dedicated to the six-point harnesses and spans from B-pillar to B-pillar – formed to allow maximum possible seat travel. The Rebel TRX interior floor trades carpet for black rubberized coating. 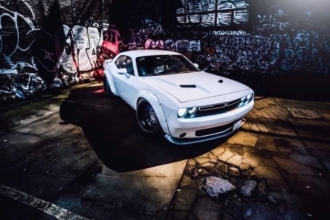 Black all-weather mats from Mopar reduce foot slip when foot-to-pedal placement is crucial. One look at the Ram Rebel TRX concept and its intentions are clear — a 575-horsepower off-road machine with the ability to clear miles of desert in the blink of an eye.